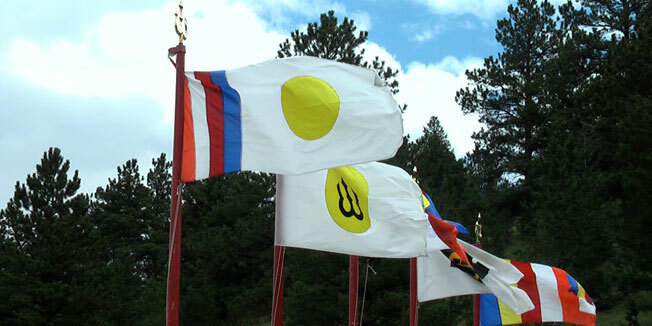 We are part of Shambhala International, a community of meditation centers founded in 1973 by Chogyam Trungpa Rinpoche, a Tibetan Buddhist meditation master, artist, author, and poet. Today, the Shambhala tradition is led by Trungpa Rinpoche’s son, Sakyong Mipham Rinpoche. Along with a number of senior dharma teachers such as Acharya Pema Chodron, these timely teachings are being offered at Shambhala Centers worldwide. Shambhala offers an extensive structured path of training in authentic meditation practices and teachings for people who are interested in pursuing such a path. The name of this path is The Way of Shambhala. If you would like a simple introduction, you may choose to sample a workshop, a course or a weekend or several, at any time. Click here for an overview of the full Way of Shambhala program.